A bride and groom embrace in Brooklyn Bridge Park on their snowy wedding night. 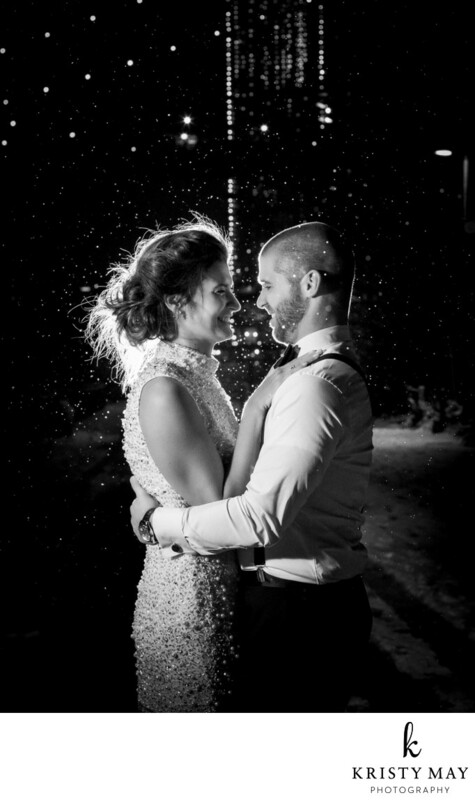 It snowed the whole day during their winter wedding at One Hotel Brooklyn Bridge. Location: 60 Furman St, Brooklyn, NY 11201.